I'm so pleased to have a selection of my jewellery available at Kuwaii stores in Melbourne city, Brunswick and Collingwood. Kuwaii are a local brand focused on ethical and sustainable fashion practices. They design and make each piece of clothing here in Melbourne. 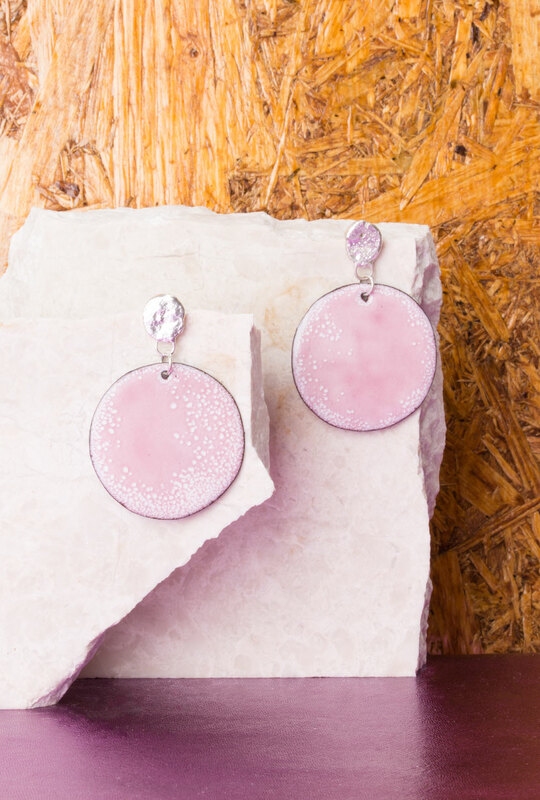 You can find my colourful enamel earrings from the Imaginary Planet collection at Kuwaii! And coming soon to Kuwaii stores, sterling silver studs and hoop earrings! Ada Hodgson's Imaginary Planet collection is now stocked at Kuwaii. Handmade using vitreous enamel and sterling silver in Collingwood, Australia.